Meet high quality standards with accreditation for Limited DMEPOS and Full Line DMEPOS Pharmacy. Today's pharmacies come in all shapes and sizes. Your products and services can range from small and niche to large and comprehensive. HQAA offers an accreditation product that meets the specific requirements to provide Part B HME products and supplies within all pharmacies — whether you are providing full line HME products or are a community Retail pharmacy with limited HME products. Our limited DMEPOS and full line DMEPOS pharmacy accreditation program is tailored specifically to your needs. Does not provide delivery and/or set-up services of DMEPOS on a rental basis in customer residences outside of the supplemental delivery of items where medications are the primary delivery. Limited companies would get an abridged version of the core standards. No standards required beyond the abridged core set. DM02 Commodes/Urinals, DM05 Blood Glucose Monitors and Supplies, DM08 Heat and Cold Applications (sale only), M01 Canes and Crutches, M05 Walkers, OR03 Orthoses off the Shelf, PD06 Ostomy Supplies, PD08 Tracheostomy Supplies, PD09 Urological Supplies, PE03 Enteral Nutrients, R07 Nebulizers and Supplies, S01 Surgical Dressing, OR04 Penile Pumps, M04 Seat Lift Mechanisms, SO2 Diabetic Shoes/Inserts – Off the Shelf and SO3 Diabetic Shoes/Inserts – Custom. 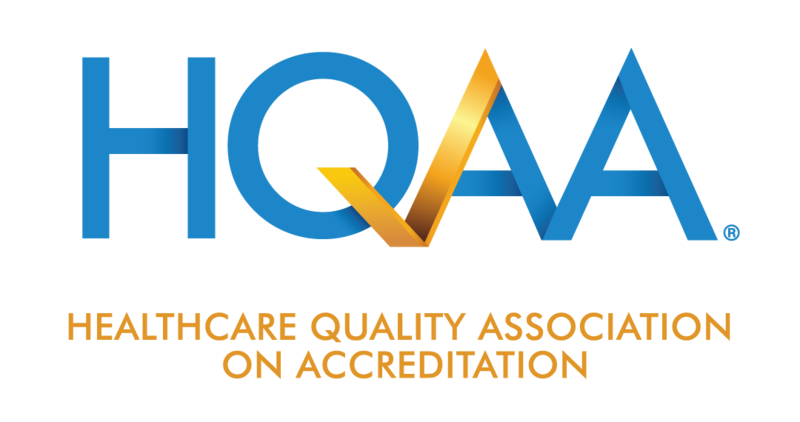 "The reason we chose HQAA was that HQAA WAS OUR SOLUTION ... we can pursue accreditation at times that fit our schedule. At first the Internet design was intimidating to me, but now I realize that HQAA is our only hope of maintaining high standards in our business." Tell me more about Pharmacy Accreditation!